Biocompatible fillings are strong and made of a composite that is actually compatible with your system by being non-toxic, non-injurious and not causing rejection from your immune system. This is established through careful testing of materials and their reaction upon the human body. While certain people still react negatively to some biocompatible fillings due to personal allergies, the fact remains that on a general basis these materials are more compatible with your body for use in dental treatments. A filling is deemed necessary when one has a cavity or decay that needs to get removed. After removal, instead of leaving the tooth with a hole in it, a dentist fills the gap with a material. This material prevents the tooth from being susceptible to further decay or infection. This filling needs to be strong like a tooth and one that your body will accept as a part of itself. Traditionally, metals like silver or gold have been used in the past, but as medical technologies advanced, new and less toxic materials started to get introduced. Today, many dental filling options are available. 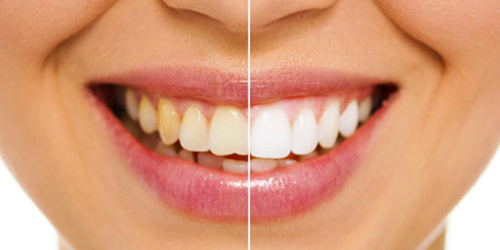 Teeth can be filled with porcelain or tooth-colored plastic, as well as materials called composite resin fillings. The location and extent of the decay, your preference and your dentist’s recommendation assist in determining the type of filling best for you. No matter what material is used, the professionals at Anacapa Dental Art Institute are capable of performing beautiful dental fillings that look, function and feel like the real thing. Dr. Jivraj is an expert prosthodontist whose skillset includes the use of biocompatible fillings. Whether you need a filling due to a cavity, decay, or are interested in replacing unsightly and potentially dangerous silver fillings, the Anacapa Dental Art Institute is your choice in the Ventura County. Silver fillings have been used, and are still used today, due to their strength and lasting power. When properly installed, they can last up to fifteen years. However, silver fillings present certain issues. Primarily, these issues include cosmetic consideration due to their color, along with toxicity issues that have been discovered. For these reasons, some patients choose to replace silver fillings with biocompatible fillings that are less harmful and unsightly. The subject of mercury leeching from silver fillings can get touchy with some medical professionals and patients due to one’s personal beliefs and the general lack of conclusive evidence that silver is harmful, which is why it’s still allowed as an acceptable dental filling. The fact remains that if you are interested in getting your silver fillings removed, the Anancapa Dental Art Institute is here for your needs. Dr. Jivraj is skilled in the removal and replacement of silver fillings. If you have considered getting your silver fillings replaced with something less conspicuous, schedule a consultation today with who many call the best prosthodontist in the Ventura County. 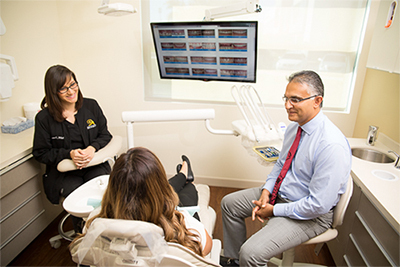 During this time, you can discuss any questions and concerns with a professional with over 25 years of experience with silver fillings and their replacement.